1. Thyristor is a four-layer device while the transistor is a three-layer device. 2. Due to difference in fabrication and operation it is possible to have thyristors with higher voltage and current ratings. 3. Rating of a transistor is always in watts while that of a thyristor is in kWs i.e. thyristors having better power handling capacity. 4. A thyristor needs only a pulse to make it conducting and thereafter it remains conducting. 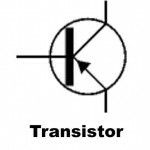 On the other hand a transistor needs a continuous current for keeping it in a conducting state. 5. Internal power losses in a thyristor are much smaller than those in a transistor. 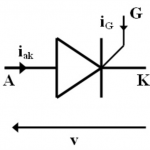 Transistors, however, have lower voltage drop, and need no turn-off circuit. Power transistors are linear devices better suited for some linear power applications such as audio and high frequency power amplifiers, regulator systems etc. which on was invented first and which one nowadays is commonly used.